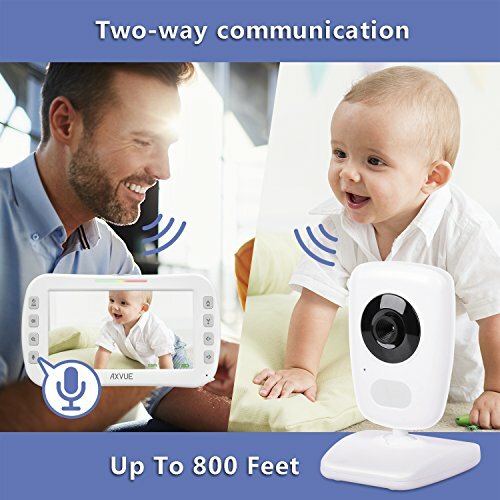 SmartFox Security Store are happy to offer the brilliant AXVUE E632 Video Baby Monitor with Two Cameras and 5“ LCD, Night Vision, Temperature Detection, 2-Way Talk, VOX, Sound Lights, Power Saving On/Off, Expandable Cam. With so many on offer these days, it is wise to have a name you can trust. 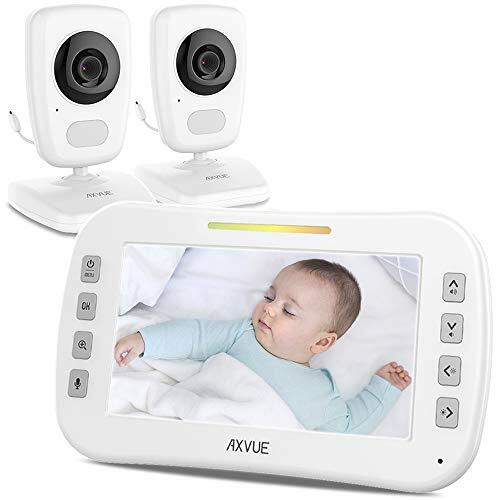 The AXVUE E632 Video Baby Monitor with Two Cameras and 5“ LCD, Night Vision, Temperature Detection, 2-Way Talk, VOX, Sound Lights, Power Saving On/Off, Expandable Cam is certainly that and will be a superb acquisition. 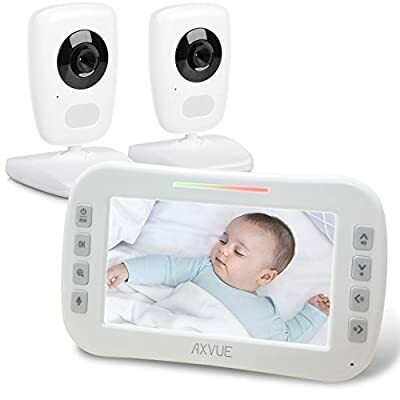 For this great price, the AXVUE E632 Video Baby Monitor with Two Cameras and 5“ LCD, Night Vision, Temperature Detection, 2-Way Talk, VOX, Sound Lights, Power Saving On/Off, Expandable Cam is highly recommended and is always a regular choice with most people. AXVUE have provided some excellent touches and this means good value for money. 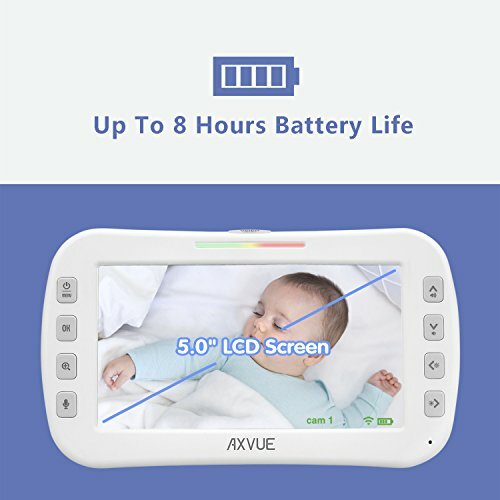 AXVUE E632 Video Baby Monitor with Night Vision and Night Light ("the product") is an easy device to monitor your baby's safety! 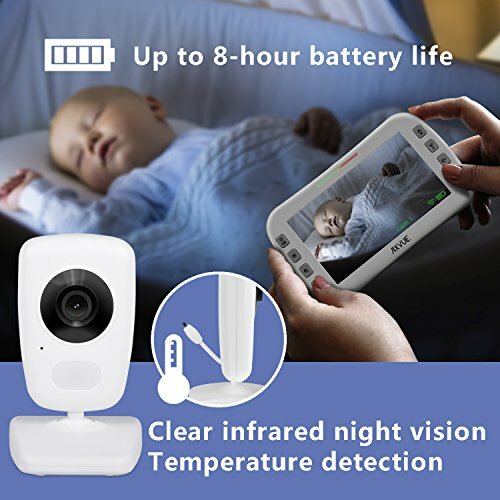 It is consisted of one cameras and one 5.0" portable TFT-LCD screen, which are integrated with advanced 2.4GHz digital wireless technology, for the benefit of high quality video performance and secure privacy. 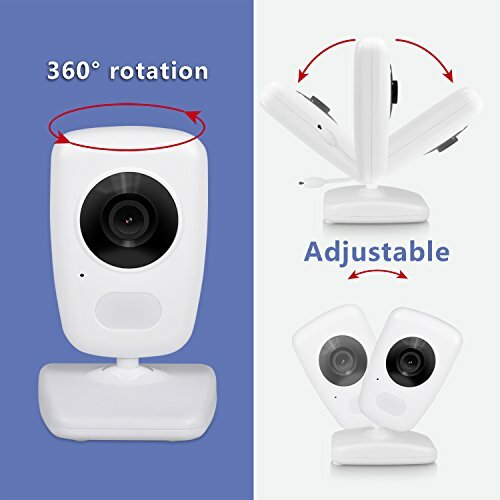 Super long distance and standby time up to 800 feet.